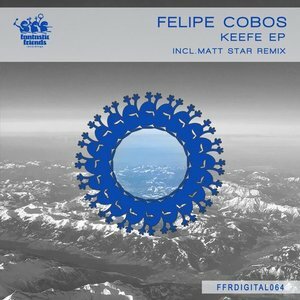 Please welcome another new signing to our Digital catalog, mister Felipe Cobos. Summery loopy hypnotic groover ‘Keefe’ is an efficient peak-time tool with the right drive and energy to keep the crowd bouncing their heads – the constantly evolving acid synth loops and occasional drum and vocal one-shots andprovide the right amount of variation throught the 8 minutes of mayhem. ‘Deep moody Detroit tech-house’ is what came to mind when we first heard ‘Salem’, as its more decomposed playful yet mental character struck a chord. Last but not least, one of our ‘oldest’ most faithful Fantastic Friends Matt Star returns, with a cleverly crafted delicate stripped-back version of ‘Salem’, better suited for a slightly more intimate setting.